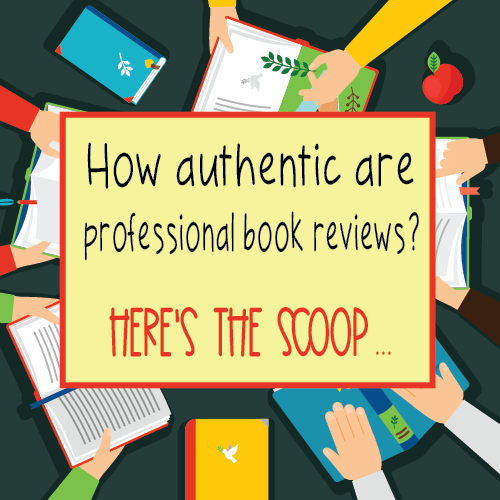 Mrs. ReaderPants: How Authentic Are Professional Book Reviews? 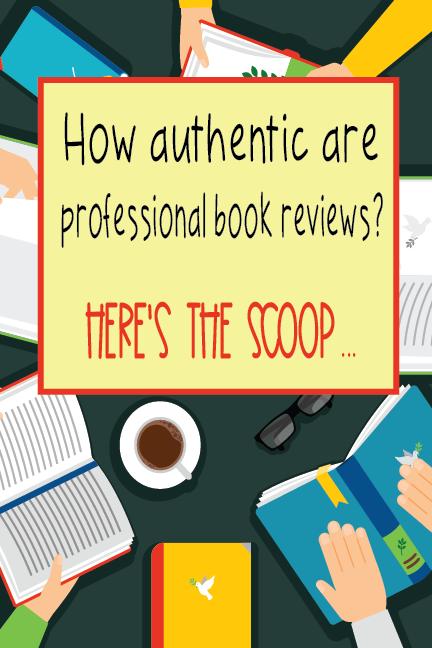 How Authentic Are Professional Book Reviews? Do you purchase books based on written reviews? Do you prefer Goodreads, professional journals, blogs, or a mix of all of them? For me, it's a mix. Because of my weekly New Release Spotlights, I read book reviews--loads of them--every day. It's fun to see how the reviews might agree or contradict one another. Throw in the Goodreads reviews, and I easily lose hours of time every week, engrossed in reviews. My favorite reviews are the negative ones on Goodreads, which can be totally hilarious. Avid readers aren't playing around when they strongly disliked a book! When writing my New Release Spotlights each week, the reviews that get my attention the most--and often lead me to reading that book--are the ones where professional reviews and Goodreads reviews wildly vary. I recently finished reading Damsel by Elana Arnold for this very reason. When I wrote up the October 2 New Release Spotlight, I found that Damsel was starred by both Booklist and SLJ. But when I looked it up on Goodreads, I found lots of 5-star reviews...and lots of 1-star reviews. How interesting! This isn't the first time Goodreads reviewers have majorly disagreed with professional reviews. I thought this would be a good opportunity to explain my experience as a book reviewer for SLJ, and why because of that experience, I put a lot of faith in SLJ reviews. It doesn't mean that the other review sources aren't trustworthy or reliable, but because of my experience as a reviewer, I am positive SLJ reviews are authentic and unbiased. I also want to make it clear that SLJ did not solicit this article, and they did not pay me to write it. I do plan to send the link to my editor at SLJ, but I have no idea if they will share it, link it, publish it, or even read it. 1. My reviews were always published as I wrote them. I reviewed for SLJ for five years, between 2012 and 2017. In that time, I reviewed over 50 titles, and all of my reviews were published in SLJ. I was never, not one single time, edited for content. My reviews always appeared as I had written them, without any interference from the editors at SLJ. 2. Reviewers initiate the starred review process. Do you ever wonder if publications receive bribes or special treatment in exchange for starred reviews? Well, in my experience, that's a no for SLJ. When I submitted a review to SLJ, there was a checkbox on the online form where I could indicate if I thought this book should be starred. From there, SLJ editors would read the starred recommendations and make a decision about whether or not to actually star it. Sometimes, my starred books would become SLJ starred books. And sometimes, they didn't. Either way, it was fully my choice to click that starred box and start the process. 3. I had plenty of time to read and review books. A few days after I submitted a review to SLJ, I would receive my next assignment via email. The book would arrive on my doorstep a couple of days later. The due date for the review varied a bit, but it was usually due in about 4-5 weeks from the day I got the assignment. If I sent in my review earlier than that date, I would get my next assignment within a few days. If I sent in my review the day it was due, I would again get my assignment within a few days of submission. My point is that I had plenty of time to read the book, evaluate it, and write my review. I never felt rushed or pressured to finish earlier than my due date. As a full time school librarian and mom of two boys, I sometimes needed all the time I could get! This long due date gave me time to relax into my reading and really think about the book. It gave me time to digest the book before I started writing the review. Even now, I don't usually write a book review the day I finished the book; I prefer to wait a day or two to think and talk about it with anyone who will listen. 4. I was not paid to review. I don't know if all book reviewers are volunteers, but I was. Because I wasn't paid, I felt no obligation to review a book positively or negatively. I reviewed because I loved it, not because I got paid. 5. I got a hardcover copy of the book, even if I didn't love it. Most of the time, my review copies were Advance Reader Copies (ARCs) of the book. ARCs are paperback copies that may contain errors. Cover art is often left off the ARC, and even when it is included, the cover art may be different on the published hardcover. ARCs also often list the publisher's marketing plan for the book on the back cover. Whether I reviewed a book positively or negatively, I always received a hardcover copy of the book as a thank you from the publisher. Most of the time, I put these books in my library, but I was not obligated to do that. My understanding is that the thank-you hardcover was the publisher's discretion, but I can't think of any book that I didn't receive a thank-you hardcover from the publisher. I got the free hardcover book even if I didn't love the book, so once again, there was no pressure for me to review the book positively. 6. My reviews were not influenced in any way. I've pretty much said this in every point so far, but it's true. I felt no obligation to review any book positively or negatively. I wrote my honest opinion, but as I do with my MrsReaderPants reviews, I worked hard to include something positive and something critical in every review I wrote. There is almost always something good and something to improve on, even in the best and worst books we read. 7. I decided the recommended grade level. You know how SLJ reviews always include a recommended grade level at the start of every review? Those recommended levels are determined by the reviewers. This is why the interest level of a book--decided by the publisher--and the recommended grade level in the review might differ. 8. SLJ includes the reviewer's full name and school name in the review. Yep, I got full credit for all of my reviews. Because my reviews included my name and my school's name, I made absolutely certain they were well-written and meaningful. And because our names are on our reviews, readers know that our reviews come from real people who work in a real library somewhere. People who have zero stake in how well the book sells or doesn't sell. People whose only agenda is helping other librarians decide if a certain book will be a good fit for their collection. If you have thought about reviewing for a professional publication, I encourage you to give it a try. The only reason I stopped reviewing for SLJ was because I moved to China and couldn't receive physical books anymore. Shipping takes too long, and Customs duty is randomly-applied and a hassle to clear. I reviewed e-copies for SLJ for three years, but I was never as excited about it as when I got a physical copy of the book. The e-book copies I got tended to be from smaller or indie publishers, and sadly were just not as high-quality as what I received in physical form. If I ever move back to the US, you can bet I will pick up my SLJ reviewing again. Reviewing for SLJ was a positive experience that led me to read lots of books I might not have picked up on my own. For now, I'll keep reviewing on my blog using books from my school library, my OverDrive account, Kindle, Edelweiss, and NetGalley. I can also order physical books from The Book Depository in the UK, which take 2-3 weeks to arrive and *almost always* clear Customs easily and without duty. *I tried to find links for Hornbook, Publishers Weekly, and Library Media Connection, but I could not find any online application information for reviewers. Do you review for a professional publication? I use SLJ for my initial review, then check out your site, and CommonSenseMedia.org. Maybe book reviewing is something I should consider doing after I retire in the spring. Mary Ann Cole, that’s about the same path I take when considering a new title or one by an unfamiliar author. When I hop over to Follett to look up a book for consideration or add to my current “shopping list” I always check the reviews. I may read them all, but if not I always read the SLJ review. If still in doubt, I head to Common Sense Media and then blogs such as Miss Reader Pants. It is a real pity that SLJ and Booklist don't have sections specifically for books published outside of the USA - that would solve the problem of delivery and also lead to more diversification in the offerings.